Visiones Alternativas is your go-to source for unbiased, up to the minute news out of Cuba. Revitalized with life in recent years, Cuba’s rich history is quickly being surpassed by the potential of its future. Leading journalists and editors have joined our small team to bring exciting news to the masses. We’re eclectic, and we believe this is a good thing. Instead of reading news that is reiterated 100 different ways on big sites, we aim to provide you with the latest news in Cuba – both big and small news stories. Breaking news needs to be factual and precise. Our team of dedicated journalists do their best to get the facts straight before hitting the post button. We aim to bring true journalism back to the world of news – not spread satire that is being passed off as real news. Do you have a news story or tip you think we should know about? We’re open to discussing your news story, and we may even publish it and spread it to the world. If you believe that you have something insightful or a new story that the other news outlets are ignoring, it’s time for you to contact us. Visiones Alternativas aims to be different, unique and trustworthy. When you’re looking for the latest news out of Cuba, we’ll be your go-to news site. 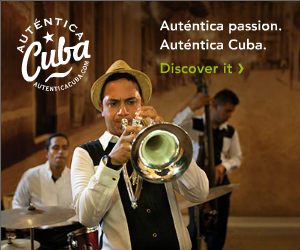 Cuba’s greatness on the world scale is beginning to shine and is why we’re so passionate in our journalistic efforts.